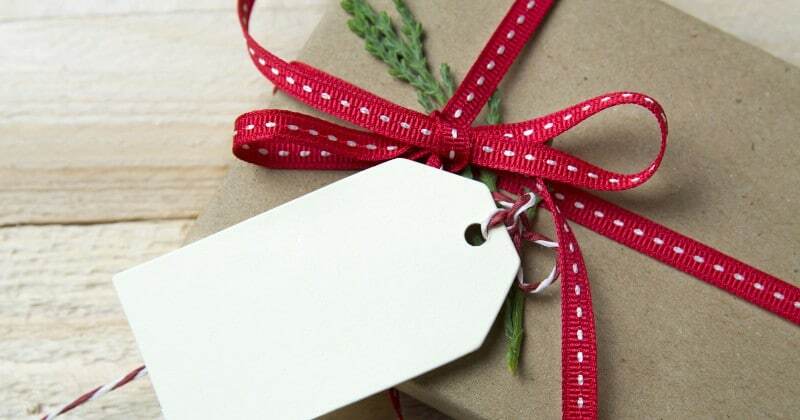 Gift Ideas for Kids that they’ll still play with after the shiny new-ness wears off. Toys that encourage imaginative play and learning. In my short time being a mom, I’ve learned a few things. One of these things is about gift and toy buying. Some of the toys out there look so cool. They have all the bells and whistles: music, lights, remote controls, etc. And you see these things and think, “My kids MUST have that.” But then after you give it to them, a week goes by and that really amazing toy gets chucked aside and your kids are playing with boxes and your pots and pans. WHY?! You know how people always say, “Don’t bother with presents! Just give your kid the boxes!”? Well, in my experience, this is true! Boxes are GREAT, and I’ll tell you why. Boxes are versatile. They can be anything: a house, a fort, an airplane, a pirate ship; you can put stuff in them; you can dump stuff out of them. You can pretend you’re giving someone else a gift at their pretend birthday party. The key to the awesome-ness of these boxes is in their versatility, and in the fact that your kids get to use their imagination. That’s what makes an awesome gift. That’s how you can guarantee they’ll still love it after the shiny new-ness wears off. 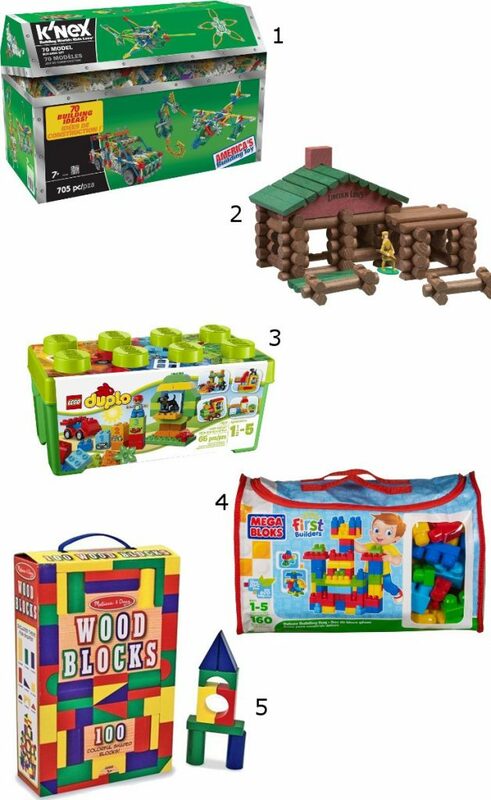 So here I’ve compiled a list of gift ideas for kids that encourage imaginative play, learning, and versatility. Stuff they’ll love (and you will too!). Coloring, painting, gluing, cutting, anything artsy. Play-doh and clay, including their accessories. If they’re drawing, coloring, or crafting, the sky is the limit. Ideas: Crayons, colored pencils, markers, paper, coloring books, stickers, Play-doh and accessories, drawing kits, magnetic doodlers (for MESS FREE drawing! ), and craft kits. as well. You can run an easy search with age and gender specifications to find the right kit for the right kid! Pretend play toys, to me, are ones that allow the children to pretend to be tiny (adorable) grown-ups. But, I suppose, pretend play could also extend to the fantastical world such as princesses, fairies, knights, or dragons. 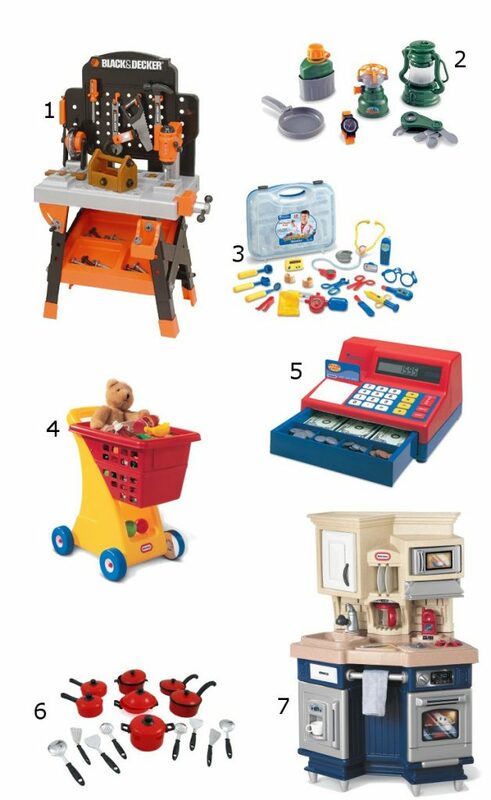 Ideas: Tool sets, beauty sets, Kitchens and play food and pots sets, shopping sets, doll accessories such as strollers and high chairs, foldable forts or tents, shopping supplies. Dress up is an extension of pretend play, but I though it deserved it’s own category. My kids play with their dress up constantly. And I mean that literally. They’re pretty much always in costume, even if they’re playing with something else. A Ninja Turtle building a boat out of Legos? A cowboy helping me bake cookies? Yup. All the time. 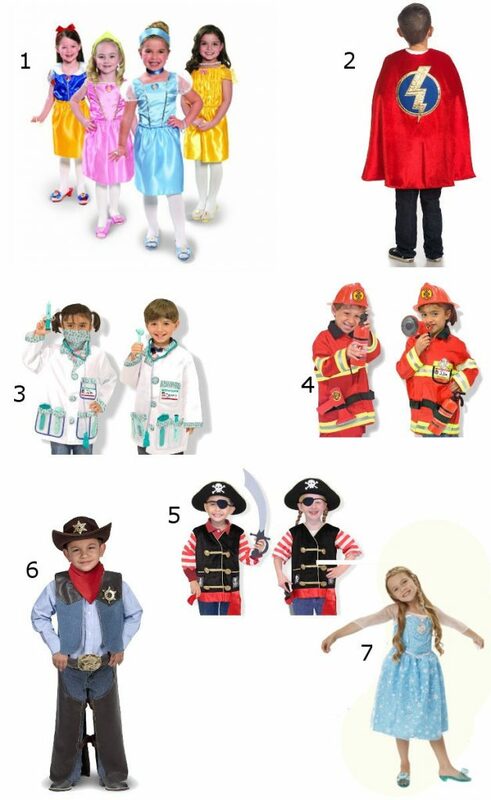 Ideas: Any dress up is awesome but some individual ideas are super heroes, doctors, princesses, fairies, nurses, cowboys, construction workers, fire fighters, police officers, etc. The list is almost endless. Another great imaginative play toy is a building set. You can add on to a set your kids already have, or start a new set entirely. My boys’ favorite right now is their Duplo Legos. They build something new and cool almost every day. Find more Building Sets here. Figurines are also a very versatile toy. My kids have super hero action figures, and sometimes they play super hero with them. But these figurines have also been babies during a game of house, pirates on a Lego boat, and guests at a lunch or coffee party. Figurines can transform into anything you want them to be. 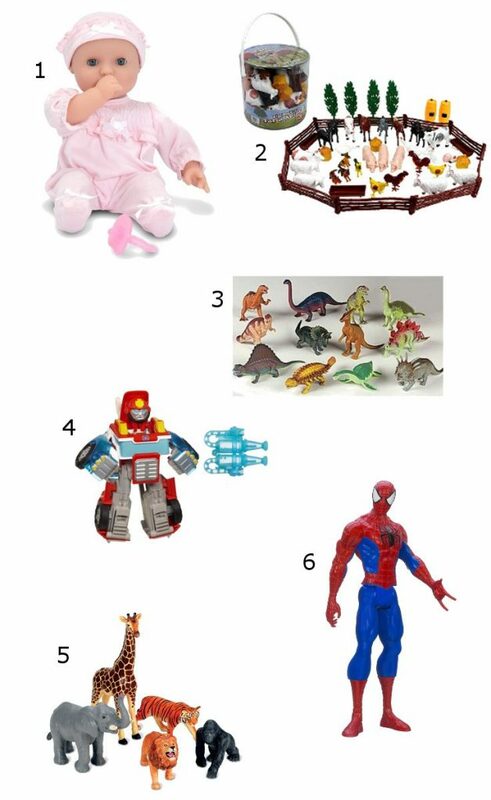 Ideas: action figures, Barbies, dolls, animal sets, stuffed animals. 2. Farm Animal Action Figures – Big Bucket of Farm Animals – 50 pieces in set! Board games are great for the whole family. They’re not a particularly imaginative toy, but I love them because we only get them out about once per week to play as family. It gives us a couple hours of really fun indoor family time. Then they go back up in the closet (along with all their tiny pieces that don’t have to be scattered on the floor) until next time! 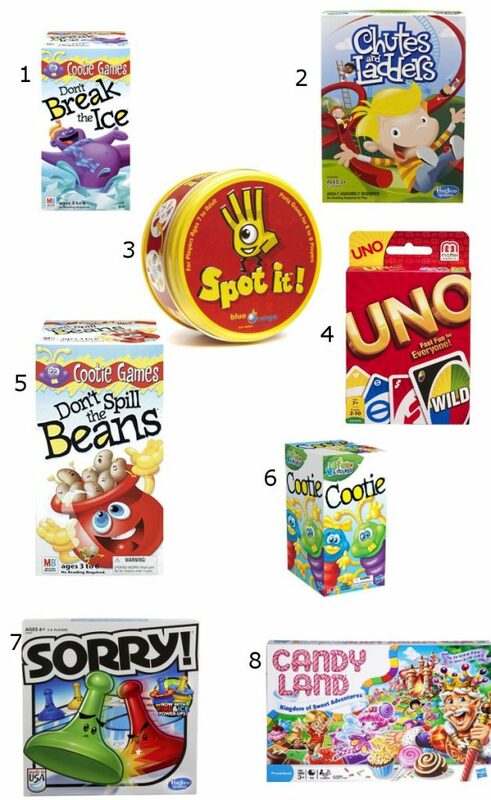 Ideas: I would recommend different board games based on the ages of your children. 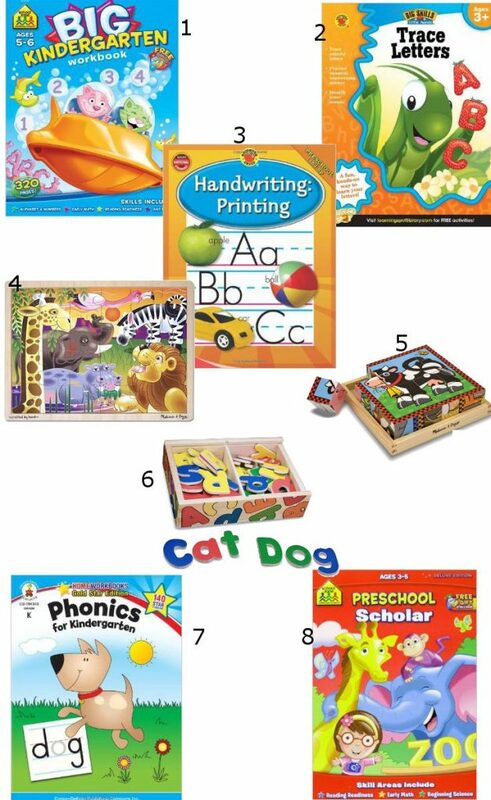 The ones pictured below are more for the toddler/preschooler/young children group. Games ideas for older kids might include Life, Monopoly, Operation, Clue, or Scrabble. Find more Board Game Gifts here. You can even filter by age by clicking the age group in the left sidebar. Ok. I know this could get loud, but the kids will LOVE it. Our kids have guitars, drums, pianos, and microphones, and they love playing music. My oldest insists that he’s the leader of their rock band. First hit single: Spider Man. Watch for it! Ideas: Anything musical. 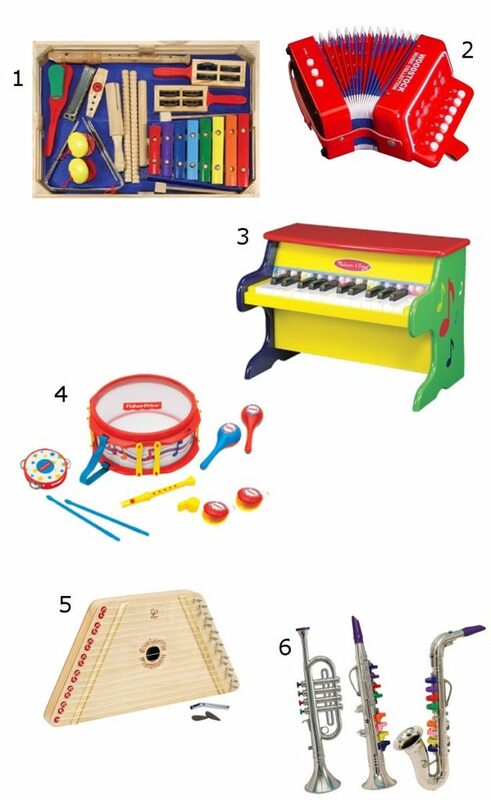 Toy pianos, xylophones, guitars, drums, wind instruments. Not so much imagination, but still putting little minds to work. My kids love learning activities. And it’s all the better when these activities don’t require extensive planning on Pinterest for me! Ideas: Puzzles, workbooks, magnetic letters, telescopes, microscopes. 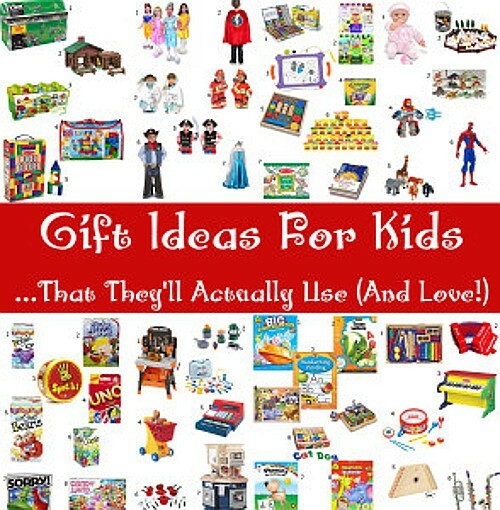 Did you like these Imaginative Play Gift Ideas for Kids that they’ll actually use? 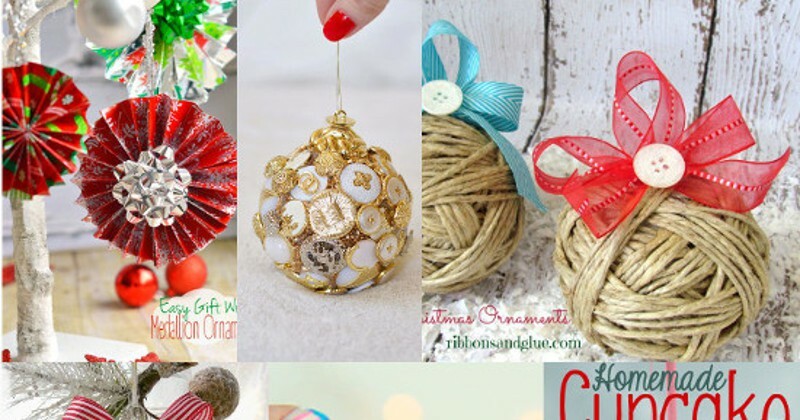 Find more on my Gift Ideas and Christmas boards on Pinterest! 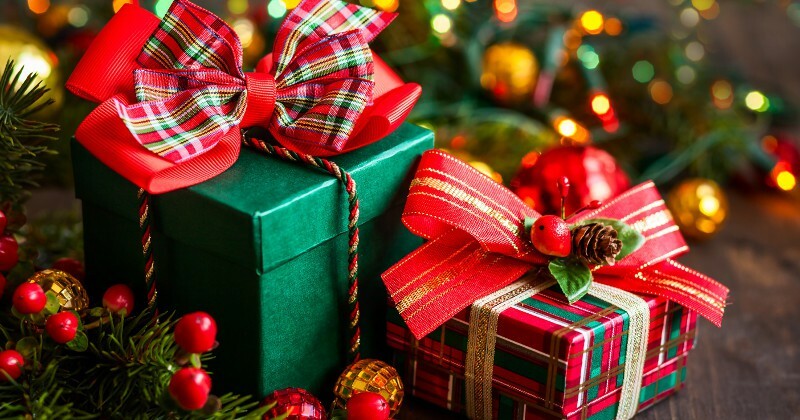 Love the gift ideas! 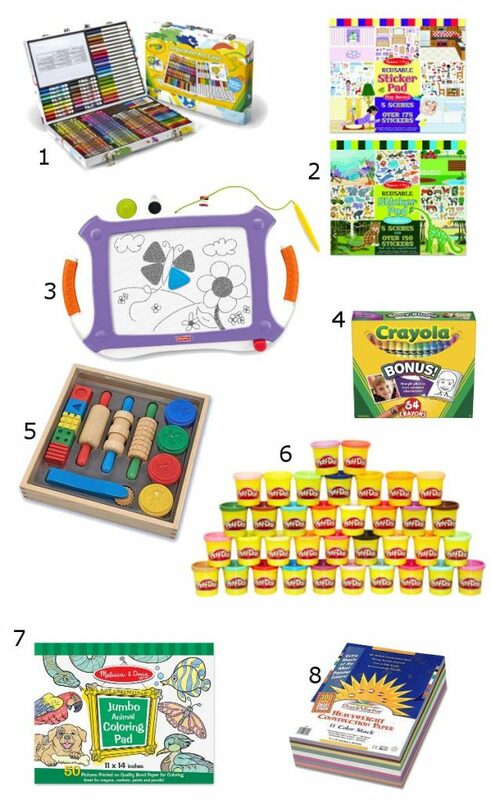 I’m in the market for some playdough and that awesome Melissa & Doug playdough set for our toddler. So many cool things out there it’s hard to decide what to buy!